We'll even provide the postage label. Whether you’re using our desktop website or brand new mobile app selling old blu-rays is easier than ever! 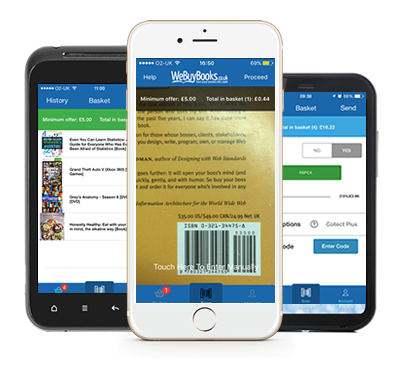 And not only that, WeBuyBooks now offer NEXT DAY PAYMENTS, which is why our service is the best way to sell old blu-rays. What are the best blu-rays to sell? 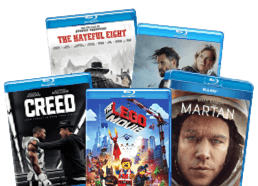 While we’d love to buy all your old blu-rays the reality is we can’t, but we are always on the hunt for the latest Blu-ray releases. If you’d like to see what blu-rays, CDs and other items we’re currently looking to buy then check out our Hot List. For a full list of defects to avoid when selling old blu-rays check out our full Item Condition Guidelines. Our brand new mobile app. makes it easy for you to sell old blu-rays. Turning your smartphone camera into a handy scanning device you’ll be able to sell old blu-rays in a matter of seconds. Like us on Facebook and follow us on Twitter for competitions, special offers and exclusive voucher codes!